The weather is warming up, and summer will be here before you know it. 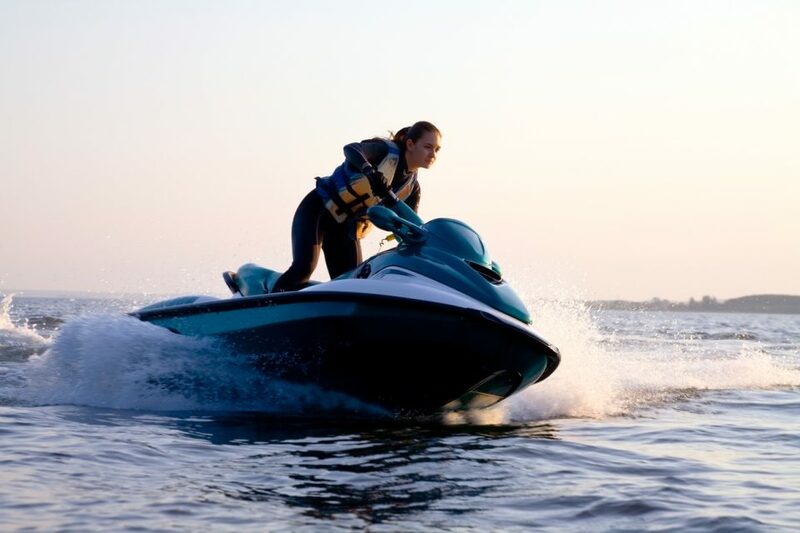 There’s no better way to beat the Alabama heat than by hitting the water on an agile Sea-Doo. Whether you’re taking a weekend trip to Lake Lurleen or heading down to the Gulf, we have your new Sea-Doo ready and waiting for you! A new watercraft may be more affordable than you think, and the light and compact Spark 2-up Rotax 900 H.O. ACE is as user-friendly as it gets. The lithe frame glides across the water and makes for easy towing, even if you’ll pulling it behind a small car. It also runs on one of the most fuel-efficient engines available, allowing you to focus on the experience, not the expense. The Sea-Doo GTI SE 130 comes with a variety of convenient features that make it perfect for care-free days on the lake or adventures off the coast. It offers two engine options to customize your craft, and both deliver stellar performance and fuel economy. Standard features include a boarding ladder, touring seat, gauge functions like a clock and gas gauge, and more. Load up your rod and reel and cast off on the Sea-Doo Fish Pro. This versatile craft combines the performance you’d expect from a Sea-Doo with all the equipment and capabilities of a fishing vessel. Anglers may utilize special features like its Garmin navigation and fish finder, fish cooler, bench seat, and trolling mode among others. If you really want to get up and go, the RXP-X 300 packs the most powerful engine Sea-Doo has ever released. The formidable Rotax 1630 engine pushes a staggering 300 horsepower, supercharged with an external cooler. The deep V-shaped hull was designed for competitive speed, utilized by Sea-Doo’s own race team. The RXP-X 300 was built for performance inside and out, and delivers precise handling with its Variable Trim System. Here at Bama Buggies, we carry a wide selection of new Sea-Doo personal watercraft, plus a huge variety of ATVs, golf carts, utility vehicles, and more. We’re conveniently located here in Tuscaloosa, and we are ready to serve watersport enthusiasts from Birmingham, Montgomery, and all of Alabama. Whether you want to ride the waves on a new Sea-Doo, hit the trail on an ATV, or get to work with a durable utility vehicle, we now you’ll find exactly what you need. Come see us today!